These little ones were brought to us at just 10 days old. They were found in a basement wall during construction. Mom was never located. They came. 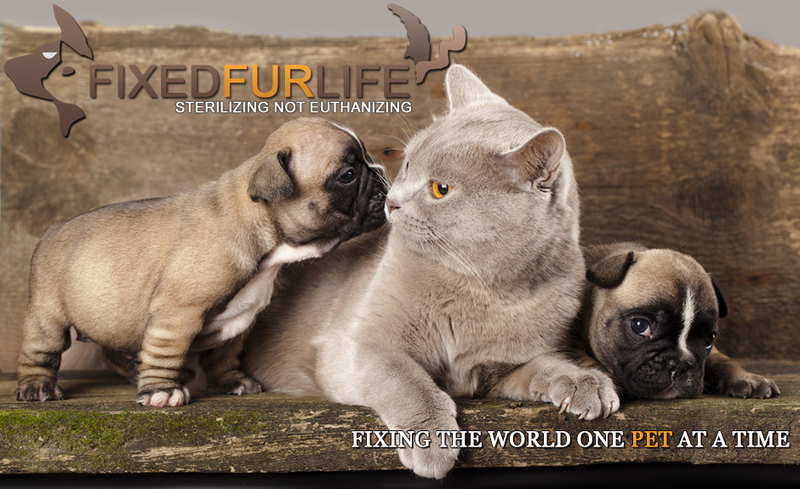 to Fixed Fur a Life to be bottle fed. They were really dehydrated and hadnt been fed in some time. They overcame many obstacles with eye infections and an upper respiratory infection. They beat the odds and grew into beautiful kittens. All have gone onto their new homes. 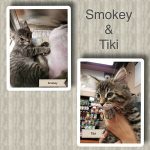 Smokey and Tiki’s Mom was a pregnant stray who will be spayed prior to adoption. 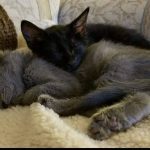 Smokey and Tiki have now been adopted. 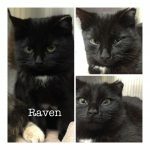 Raven came to Fixed Fur Life with two others who were hanging out together. Poor little one was missing an ear. Very affectionate. She was Spayed and went on to her new home. Libby and Charlie (formerly Pumba and Beans) have a nap in their new forever home 😻 Taken in as stray kittens now safe and loved. 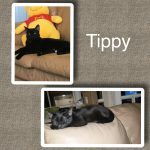 Pip’s mom was a pregnant stray. She and her siblings have now been adopted. Mom will soon be spayed and rehomed. 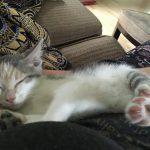 Pip shown here safe and happy in her new home. 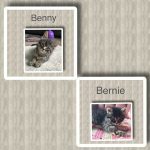 Benji came to Fixed Fur Life with his siblings and mom who was a pregnant stray.All have been adopted. Mom also Spayed and adopted. 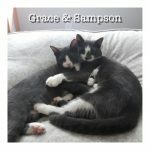 Grace lived outdoors for a few years behind Dairy Queen in Trenton where she had multiple litters. We were finally able to catch her. Her last litter were all spayed/neutered and adopted. Her remaining son Sampson had a VERY strong bond with his mom so we kept them together. They have now been adopted together. Both Spayed and Neutered. 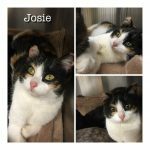 Josie came to Fixed Fur Life this am along with two other kitties who were hanging out together. Rescued from outdoors. They were in danger from the area coyotes. Josie is missing half an ear and the other is frostbitten. So happy to be indoors. Spayed and now Adopted! 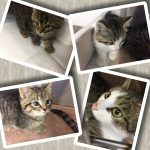 Millie, Willie, Billy and Josie came to Fixed Fur Life with their mom who was a pregnant stray. Mom was Spayed and adopted. All of her babies have now all been adopted! Jorga and Tigger came to Fixed Fur Life as wee babies. With their mom Sweet Pea. She was a pregnant stray who delivered 7 babies just hours after arriving to FFL. 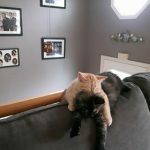 Jorga and Tigger are two of her kittens adopted together shown here in their new home. 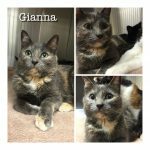 Gianna came to Fixed Fur Life this am along with two other kitties who were hanging out together. Rescued from outdoors. They were in danger from the area coyotes. 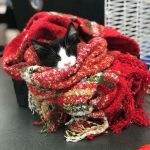 She was Spayed by Fixed Fur Life and has now been adopted! Can't believe its been almost a year since we adopted Dallas - Now named Zoey. She just turned one last week. 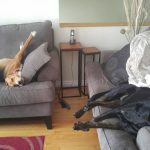 Here is a photo of her sleeping on the couch with her sister Bailey. She loves to howl, dig and run. She cant sleep unless she is right up against you by your head. Shes the sweetest dog! Sweet Pea came to us as a pregnant Stray. Crying to come into an individuals home to get in out of the cold. The individual could not keep her and hours after she arrived she delivered 7 wee little babies. Sweet Pea has weaned her babies. She is now Spayed and Adopted! 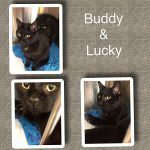 Buddy and Lucky are two of eight cats we took in as owner had to go into a long term care facility. Bonded brothers. They were finally adopted together! 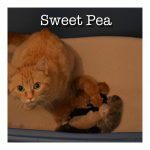 Ariel was one of Sweet Peas 7 Kitten. She delivered just hours after being rescued. Received this update. So happy in her new home! 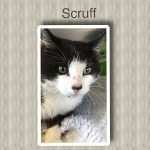 Scruff came to us recently with a broken foot. Found wandering the streets of Belleville. We addressed his broken foot and Neutered him. We were also able to locate his owner. He is now back home. Marleau was rejected by his mom as a wee baby. He came into out foster system to be bottle fed. Weaned and adopted. 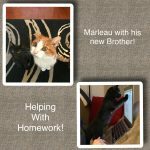 Shown here in his new home with his new big brother and doing well! Sianna and her babies were being given away on a yard sale site. They were all surrendered to Fixed Fur Life. 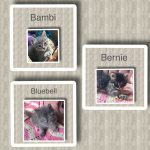 Babies weaned and now all adopted. 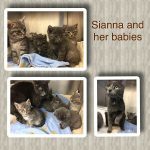 Sianna will be Spayed and also adopted!